Haven’t you heard of Instagram Account Hacking? If you still haven’t heard of such a thing, you will most probably likely to hear soon! Since Instagram has been moving very rapidly to become the biggest on Social Media, so the underground world’s bad guys started all their hacking games to steal accounts. Then they would ask for money to return it to you. What a World! 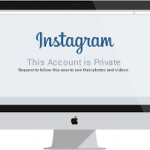 Having your Instagram account hacked – By Who? Nobody surely can know by who but by usually Russians as they say. The attacks mostly involve users being locked out of their accounts with their email addresses changed to .ru domains. 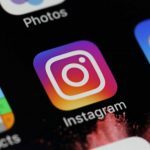 Thousands of Instagram users have reported that their accounts have been hijacked over the last few months. In all cases, the reported hacks usually resulted in the user being locked out of their account, and much of the account information (profile image, password, email address) is changed by the apparent hacker. How they do it? – Usually The Password! – Hackers usually can gain access to the accounts through a database, but also it could be as simple as just guessing password. A lot of people would use pet names, colors, seasons or something that they like. Without knowing, you could even be putting clues to your interests on social media. A lot of people use the same password for various accounts. Once a hacker gets into one, they might have access to more than thought. Change your password frequently – Especially if you see a message from Instagram asking you to do so, the password should be changed immediately without losing any time. 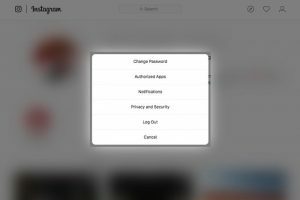 During automated security checks, Instagram sometimes recovers login information that was stolen from other sites. If Instagram detects that your password may have been stolen, changing your password on Instagram and other sites helps to keep your account secure and prevent you from being hacked in the future.Never give your password to someone you don’t know and trust. The danger in that is they can potentially get into the bank account informations as well. If the hackers once reach the email information, they can use that to essentially assume identity and then use that to potentially phish for information on other people, as well. A lot of email scams happen this way. Spear-phishing is targeting a certain group of people. After having secured your email account, recover your Instagram account and change your password to a secure password. Wherever possible make sure you are using MFA (multi-factor authentication) as an added layer of security. More Security On Password – 2 Factor Authentication – Two-factor authentication is a security feature. 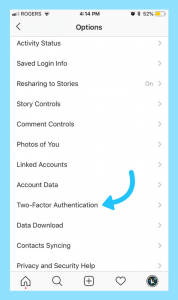 When two-factor authentication is on, every time you log into Instagram from an unknown device you’ll be asked to enter an SMS security code or backup code in addition to your username and password. Keep in mind that you must have a confirmed telephone number for your Instagram account to use two-factor authentication. When you enter a telephone number to turn on two-factor authentication, it will become the confirmed number for your account. In any case, it’s a very good idea to have two-factor authentication enabled on your Instagram account, and to keep a close eye out for any email message saying that 2FA has been disabled — and to try to lock down the account right away if you get that message. The bad news is that Instagram’s 2FA implementation at the moment uses only SMS text-based notification messages, which is the weakest kind and the kind most likely to be stolen by SIM hijackers who, well, seem to be interested mainly in stealing Instagram accounts right now. What Is A Backup Code? – When two-factor authentication is on, every time you log into Instagram from an unknown device you’ll be asked to enter a backup code or a SMS code in addition to your username and password.If an SMS security code can’t be sent due to connectivity or SMS delivery issues, you’ll still be able to complete the two-step authentication process with a back up code. If you see someone else is posting content to your account, and luckily you can still log in, there are a few things you can do to make sure you’re the only one with access. The first step would be changing your password — either within the settings or by sending yourself an email to reset the login. Right after changing your password, immediately check third-party access to ensure the hacker isn’t posting from another source. Logging in with your Instagram information from third-party apps allows you to do things like automatically add your Instagram photos to your website, but depending on the third-party app, it could be a spot for vulnerabilities. Log into your account on a computer via an internet browser; on your profile page, tap the settings icon (the one that looks like a gear), then tap “authorized apps.” On the next page, click on “revoke access” to any apps that you don’t recognize. Or, revoke all access and go through the permissions process again for the apps that you actually use. In most of the hacking cases, account owners face this situation. Many hackers will change your password so that you have a hard time getting into your account. On the login page, tap on the “get help signing in option” to go to the reset password page. You can use the original email or username here. The process might vary according to the device you are using — on Android, you’ll need to tap the arrow icon in the top right after entering your username or email. On iOS, there’s no such arrow and you go right to the next step. 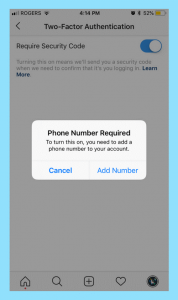 Tap on “Need More Help” and the app will walk you through the rest of the process to recover your account by using the email or username to recover the account. Again in most cases, not only the passwords but the hackers they would change everything, including your username and the email address associated with your account. And if you don’t have access to the email linked to your account, you can’t actually follow any of these steps. However, Re-gaining access to a completely hacked account isn’t impossible. The first step is to check if there is an email inside the email account that was originally linked to your Instagram. When an email change requested either by you or the hacker, you’ll receive an email from Instagram; inside this email there is a link to click on if you didn’t actually request a change to your email. Check your junk mail and recently deleted emails if you can’t find it. If you have received the email, then that link is the easiest way to regain access to your account. However, some people reported hacks that also gained access to email and deleted that message from Instagram. 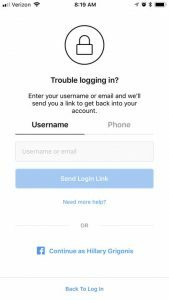 So what to do best if you don’t have that email and the hacker changed all your information?–There are two additional options along with the login help page that available on Instagram. If your Instagram account is linked to Facebook, you can use Facebook to change your Instagram email. If you linked your Facebook page to your Instagram account, you can reset your password with Facebook. On Android, tap “get help signing in” on the login page. 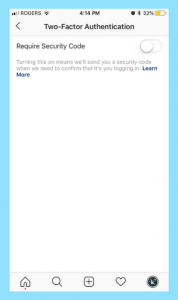 Select the “log in with Facebook option” and use your Facebook credentials to log into your account. On an iOS that’s already signed in to the Facebook app, click the link with the Facebook icon that says “continue as” with your Facebook username. Once in, you can go to the settings page to adjust your email and password. 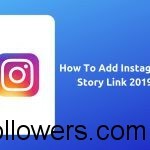 Instagram will also send you a link through SMS to get back into your account, an option for Android and iOS that works only for users that added a phone number to the account. 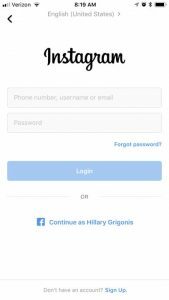 On the login page, tap “get help signing in” then tap the phone option and type in the phone number on your Instagram account. 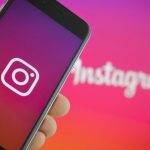 How to keep your Instagram safe from hacks–It could turn out to be a nightmare re-gaining access to your account, especially when the hacker changes the data normally used to recover the account. 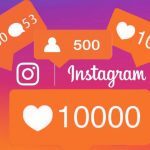 So, once you’re back into your account, or before you fall victim to hacking in the first place, what can you do to help keep your Instagram safe? First;Turn on two-factor authentication. While not 100 percent fail-proof, the feature is easy to set up and can be a big deterrent to hacks. Second; Change your passwords often and only authorize third-party apps that you absolutely need and trust. Use Strong Passwords. Bir önceki yazımız olan How to Save Instagram Videos to PC/Mac? başlıklı makalemizi de okumanızı öneririz. The place else cojld anyone get tha type of info iin such an ideal method of writing? Previous Previous post: How to Save Instagram Videos to PC/Mac?